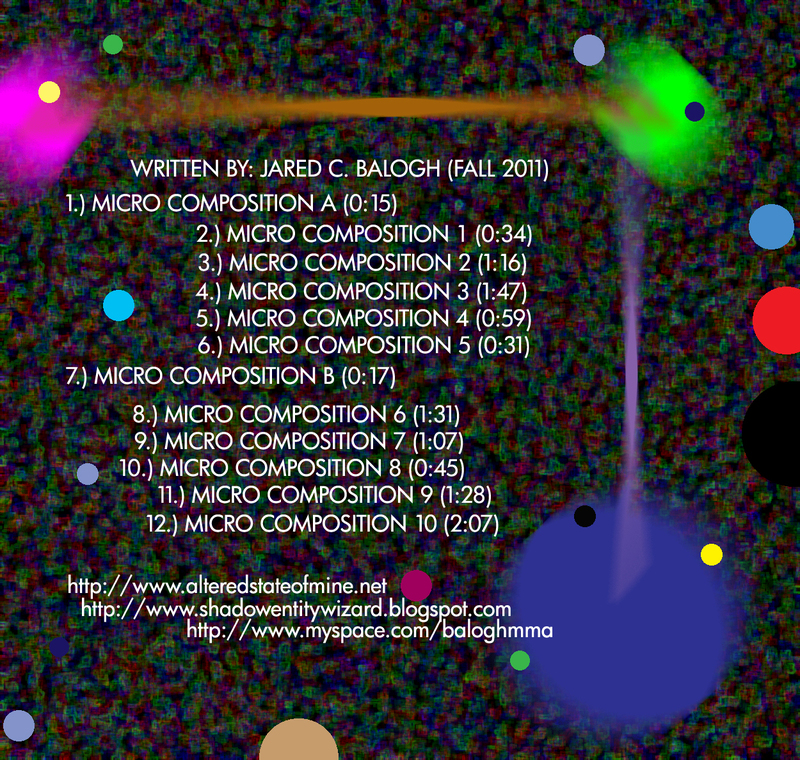 “Micro Compositions Vol. 2” is the follow-up to “Micro Compositions“, which was released on WM Recordings in 2012. Jared C. Balogh is a musician/composer from Bethlehem, Pennsylvania, U.S.A. Jazz is the main foundation of Jared’s music, but he sees no limitations of the possibilities that can be created with music. Whether it is created by improvising, writing with instruments or composing in notation on music software. Jared has experimented with classical, drone, noise, ambient, dadaism, field recordings and jazz. 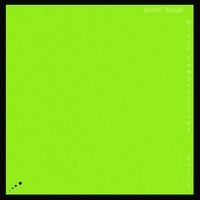 Jared C. Balogh has collaborated with various artists, including Lezet, Hal McGee, Sean Derrick Cooper Marquardt, Kawol, Igor Amokian, The Merricks and Sinus Buds. Micro Compositions Vol. 2 by Jared C. Balogh is licensed under a Creative Commons Attribution-Noncommercial-Share Alike 3.0 Netherlands License.